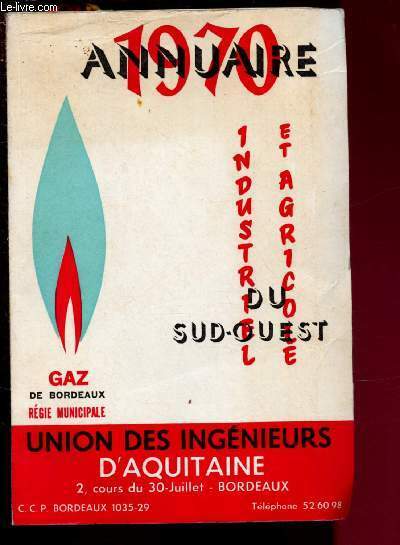 UNION DES INGENIEURS D'AQUITAINE. 1970. In-8. Broc... Plus d'informations.